The Best WordPress eCommerce Plugins 2017 Which Plugin to Choose? WordPress eCommerce Guide: Which is the Best Plugin to Use? WordPress is a powerful content management system capable of producing more than just an average blog. It can be used to build a variety of different websites, and that includes a fully-fledged eCommerce site. The only problem is WordPress is so well-known for being open source that there numerous of options to choose from when it comes to eCommerce platforms. We’re going to go over the different types of eCommerce websites you can build with WordPress before we dive into comparisons and descriptions of the actual plugins and integrations you can use. Let’s start with the top choices you have to choose from. What are the Most Popular Ecommerce Platforms Available for WordPress? 1 What are the Most Popular Ecommerce Platforms Available for WordPress? This is an easy question to answer. 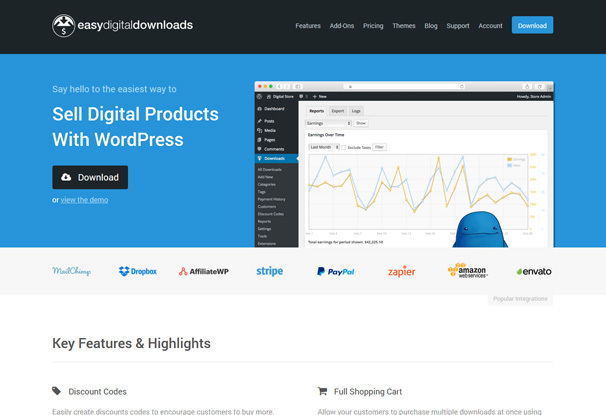 The top two most popular ecommerce platforms available for WordPress are WooCommerce and Easy Digital Downloads. Choosing between these two platforms is just as easy. If you sell physical products, go with WooCommerce. If you sell digital products, go with Easy Digital Downloads. WooCommerce is what’s known as a shopping cart plugin for WordPress. At 29.5 million downloads, it’s the most popular shopping cart plugin available for the CMS. Here’s a little backstory on WooCommerce. WooThemes, the developers behind WooCommerce, was founded by Adii Pienaar, Magnus Jepson and Mark Forrester in 2008. They released one of their most popular themes, Canvas, a little over a year later. 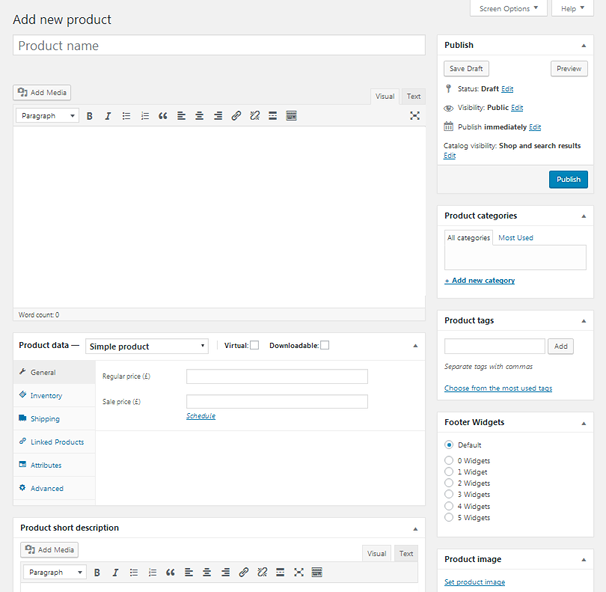 The team worked tirelessly over the next year and a half and went on to produce 100 more themes before releasing the first version of WooCommerce in September of 2011. More development went into WooCommerce, and it hit 1 million downloads by June 2013 following the release of WooCommerce 2.0. The team released Storefront, their free and most popular WooCommerce theme, the following year. That brings us to today where thousands of WooCommerce themes and plugins exist, and hundreds of thousands (if not millions) of stores are using it to power their businesses. In fact, WooCommerce powers over 40% of all online stores. 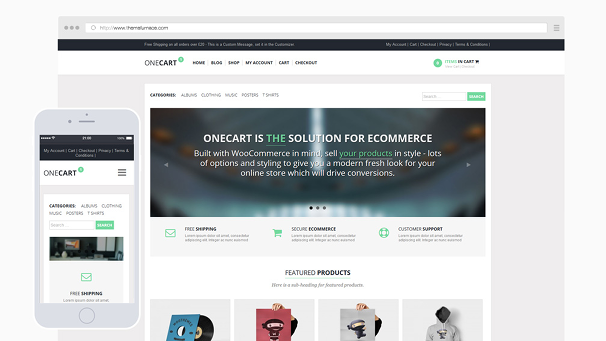 You can even check out our free theme OneCart, a clean and responsive WordPress theme designed for WooCommerce. There are a lot of reasons to like WooCommerce and lot of evidence as to why it’s number one. Let’s talk about a few of the best features you can look forward to if you decide to use this plugin. Versatility – Using WooCommerce for physical products and Easy Digital Downloads for digital products is a good rule to follow, but it’s not a hard-and-fast rule. I know, that’s not going to help you make a decision, but it’s the truth. You can sell anything with WooCommerce, from physical products to digital products and even things like courses, subscriptions and bookings. Ease of Use – From installing and setting up the plugin for the first time to creating your first product, WooCommerce is incredibly easy to use. All you need to do is click, mark checkboxes and enter fields. There’s no coding involved, and everything is labeled accordingly. Lots of Options for Product Creation – Speaking of creating products, WooCommerce has a seemingly endless amount of options to pick from when it comes to creating products. You can create as many products as you need, and you can organize them with parent categories, child categories and tags. There are even attributes you can use to create different variants of the same product. Other things you can use are SKU codes, shipping information, weight, dimensions, general prices, sale prices and more. Payment Gateways – Figuring out how to get paid is one of the many struggles you’ll need to go through when you begin to accept payments on your website. Thankfully, WooCommerce comes with a lot of pre-installed payment gateways, such as PayPal, direct bank transfer and cheque, and many you can add with free and premium extensions. These include extensions for such payment gateways as Stripe, Authorize.net, Square, Amazon Pay and more. Shipping – We mentioned the ability of being able to add shipping information to individual products earlier. Well, you’ll be glad to know that it comes with a number of different shipping options, such as the ability to use multiple shipping methods, including flat rate, international, free and local delivery/pickup. You can even add a shipping calculator to product pages and the shopping cart page or conceal shipping costs for customers who haven’t entered their addresses. Lastly, you can set up location-based shipping zones. Sales Monitoring – This plugin makes it easy to view the health of your store with a dashboard that displays key information about the sales you’ve received in a given amount of time. This includes a sales graph as well as exact numbers detailing the gross revenue you’ve accrued, daily revenue you’ve accrued as well as the number of orders that have been placed. Third-Party Solutions – WooCommerce is an open-source plugin built for WordPress, an open-source CMS. WooThemes has its own set of themes and extensions you can use, but you can also design and extend your store any way you please using the thousands upon thousands of free and premium themes and plugins available for this master plugin. Let’s switch gears and talk about Easy Digital Downloads. It’s a lot simpler than WooCommerce, but it still has its own set of pros and cons. 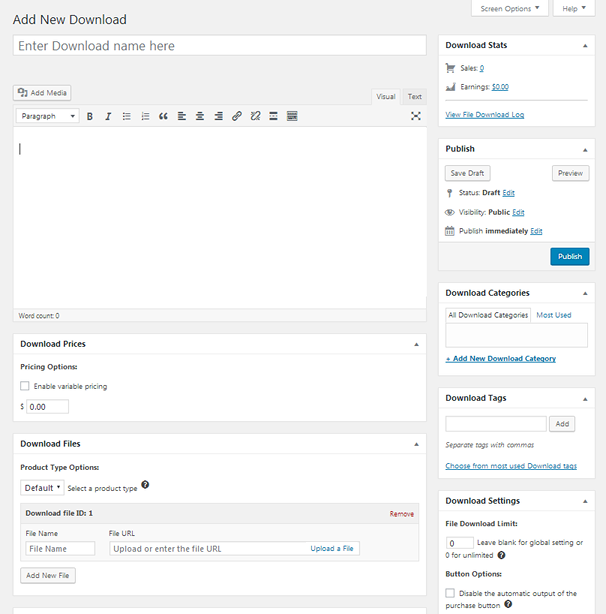 It’s been downloaded over 1.5 million times, and it has over 130 themes and plugins built for it. It’s even similar to WooCommerce. Installing it, setting it up and using it are all simple to do. Product creation and management are a lot simpler, as to be expected, but it does come with single and variable pricing options. The multi-option feature also allows customers to add different options in the same order. As far as payment gateways go, EDD comes with PayPal and Amazon Payments pre-installed. Other payment gateways you can add through extensions are Stripe, Authorize.net, BitPay and more. Prices for these extensions are about the same as WooCommerce, except it doesn’t have a free option for Stripe. It also has a powerful dashboard you can use to view the health of your store by seeing how much revenue you’ve earned in a given amount of time. You can even filter the view of this dashboard by category. WooCommerce are the number two ecommerce plugins for good reasons. If you’re not experienced in web development or even WordPress itself, you’re better off with one of these two plugins as the amount of support, themes and plugins available for them is extensive and diverse. However, if you’ve already given them a chance and decided they’re not for you, here are some other options. Cart66 is a great solution to use if you want to add a few physical products, digital products or subscriptions to your site without having to build an entire storefront with an optimized theme. It even comes with over 100 payment gateways. JigoShop and WooCommerce have had a bit of history since WooThemes hired two JigoShop developers and forked the source code of the plugin to create the original release of WooCommerce. Today, it’s a direct competitor of WooCommerce and a fine option if you don’t want to use the former plugin. It has over 500,000 downloads and features much of the same functionalities as WooCommerce comes with. It even has a similar set of themes and extensions. MarketPress is a free alternative to WooCommerce that offers many features, such as Authorize.net as a payment gateway, free of charge. It’s also a great option for those who want to create a marketplace similar to eBay or Etsy as it comes with compatibility for WordPress multisite and BuddyPress. iThemes Exchange is a great ecommerce solution to use if you want a simple store that sells a few products and doesn’t need to meet the needs of a variety of different customers. You can use two payment gateways, PayPal and Stripe, and sell physical and digital products. All of these plugins are great, but what if you don’t want to host your products on your own WordPress site? There are a number of different solutions for this as well. 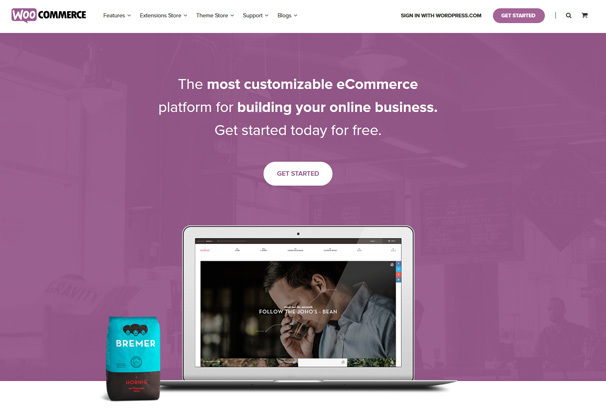 Shopify Lite is a cheap ecommerce plan Shopify offers for those who want to use the company’s ecommerce platform without using it to build their own site. They instead want to host their products with Shopify and sell them on their own websites, such as sites built with WordPress. The plan only costs $9/month, and it comes integrated with Stripe (Shopify Payments), though you can use a number of additional payment gateways as well. Shopify also works best when used to build a storefront for physical products. Ecwid is a free alternative to Shopify Lite. It’s a cloud ecommerce solution that allows you to host your products with them and sell them elsewhere, such as a WordPress site or even Facebook. Gumroad is a wonderful ecommerce solution for creators and entrepreneurs. It allows you to sell digital products, such as books, music, comics, films and even software. You host and manage your products with Gumroad and sell them on your WordPress site. E-junkie is similar to Gumroad and a direct competitor of the service. It’s cheaper, comes with no transaction fees and allows you to use more payment gateways. WordPress is an expansive CMS with a number of different ecommerce solutions built for it, including dozens we didn’t mention here. It can be intimidating to narrow things down to a single solution, but we hoped we made things a little simpler for you. To wrap things up, WooCommerce is the best solution to go with if you want to build a dedicated ecommerce store with a storefront as your homepage while Easy Digital Downloads is the best solution to choose if you want to build the same store for digital products. If you only want to add a few products to an existing WordPress site, decide whether or not you want to host your products on your site. All you have to do is choose a WooCommerce/EDD alternative or “cloud” solution after that.